Taking the Night Time to the Office!!! Today is all about taking night time style to the office place (which I do a little too much). After work today I am meeting the girls for dinner, and since I won't have time to change...I wear party clothes to work. 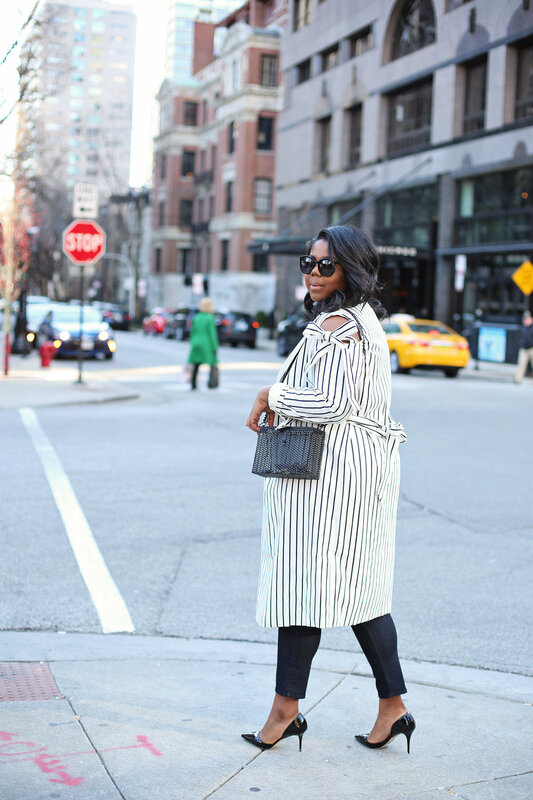 I wore a cute scalloped bodysuit, and covered it up with an amazing stripe jacket from Asos. 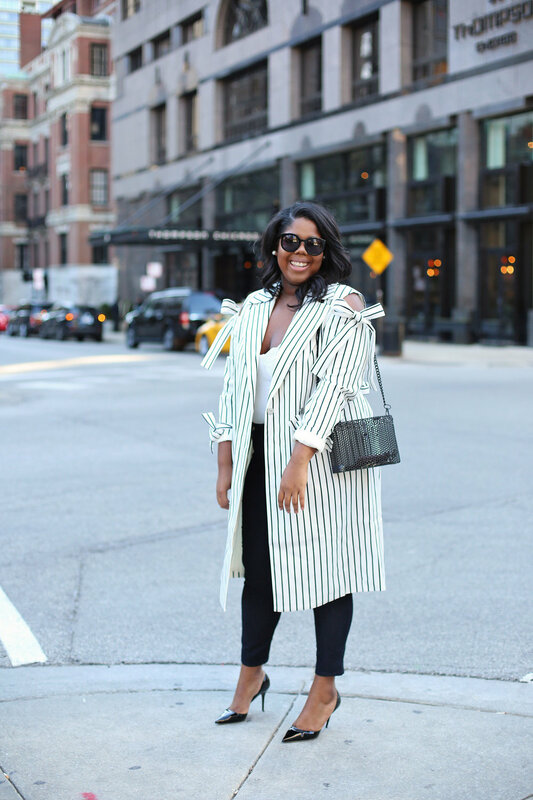 This jacket is super versatile...I can wear it as a dress or as an open jacket. This Jacket is from the straight sized section of Asos, but it has enough room. (I am wearing a size 14). Since I am a bit more adventurous with the top and jacket, I opted to wear darker colored jeans from NYDJ. 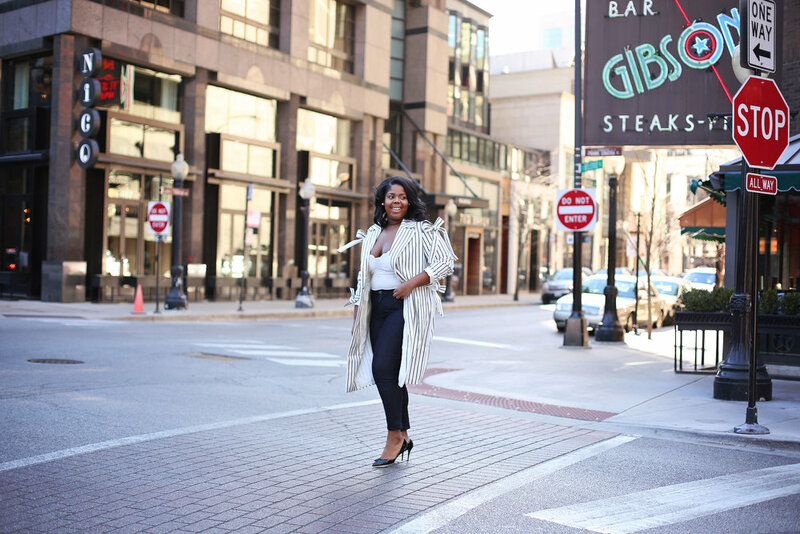 These jeans are super comfortable and skim over my curves, holding everything in place!!! You can shop all my looks below!